If you are among from those bloggers who are searching for the best PPC ad networks for publishers to monetize your blogging website in better way then we have collected list of many useful ad networks for publishers which are tested, trusted and recommended by so many peoples. So you can find list of top 10 best ppc ad networks for publishers here which you can try here to increase your blogging income. 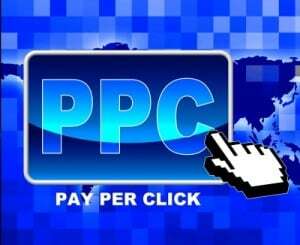 Probably the most famous PPC ad network available on the internet, Adsense is considered one of the best to monetize your traffic. There are also many tools that users can employ in order to gain more and improved methods on the same. Yahoo are also one of the big players in the PPC market and their advertising network known as media.net is also considered as one of the leaders. People using media.net should however have a good amount of traffic as it pays better on media.net depending on the number of clicks. Another very famous ad network is the Infolink ad network. It can also be affiliated to adsense and used to gain money by advertising through text or pictures. The traffic number is highly dependent on this particular ad network. Sometimes, despite having a website with some great content, users are not able to get monetizing traffic onto the site while using Bing and Google. Chitika is an off-beat ad network that can help users get the same. Though this a premium site that offers membership only to unique and very well maintained sites, Buy Sell Ads does have some great tools that can be used to get monetizing traffic onto the site. Sometimes people have issues when they are using Yahoo or Google and this is one of the best sites that they can turn to in case of such issues. This allows users to get good traffic while also using some nice tools on the site. Clicksor is another ad network that can be used by people to get more traffic onto the site if Google and Yahoo aren’t working. They have some unique tools that could help in monetizing your site. Another well-known site is Rocketfuel that provides some great options for users who are new into the social marketing space. They provide you with good suggestions on how to improve while also monetizing your site. This is another site that has close to 200 million users though the downside is their CPC bidding that can be a crippling factor. This site also allows customers to simply log on and find different methods through which they can monetize the traffic coming onto their site and also tracking different parameters. All these are known and best ad network for publishers as per my knowledge but Qadabra is also have good advertising network for both advertisers and publishers and you can read Qadabra review here to know more about it. I hope the above information about top 10 best PPC ad networks for publishers will be helpful for the readers of this post. Google adsense is best.But it is very difficult to save from spammer.